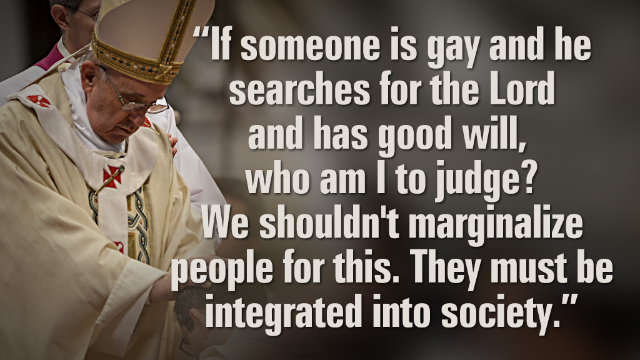 (CNN) - He's embraced a severely disfigured man, declined to judge gay priests, sought common ground with atheists and focused the world's attention on the poor and marginalized. Yes, in the 18 months since his election as pontiff, Pope Francis has earned a reputation as one of the nicest guys on the planet. According to a CNN poll, nearly 90% of American Catholics approve of the way he's running the church, and even atheists speak fondly of this Pope. But, if you watch him closely, you'll see a steely spine behind Francis's friendly smile. Just ask the Italian mafia. In the video above, I explain 5 ways Pope Francis is tougher than you think. By the way, be sure to check out our ongoing coverage of the Pope's trip to South Korea this week. Catholics attend Mass in Seoul, South Korea. When Pope Francis visits the country this week, he will find a thriving Catholic community . (CNN) – When Pope Francis arrives in South Korea on Wednesday for a five-day visit, he’ll get a look at just the kind of church he’s been trying to create worldwide. 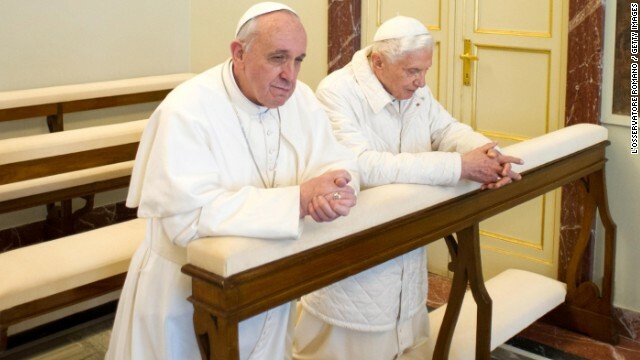 The time has long passed that the Catholic Church is elderly white men and women in European enclaves. 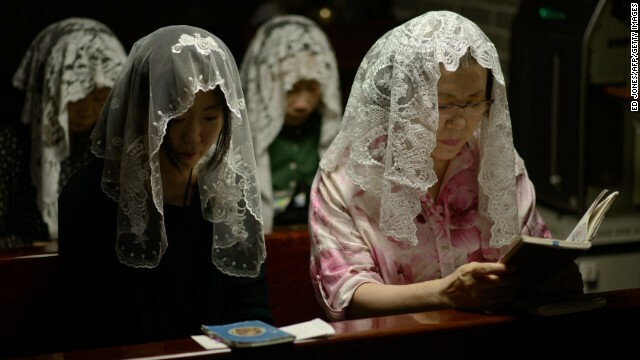 The last papal conclave and the election of the first Latin American Pope raised awareness of the Catholic Church’s growing presence in Africa, but Asian Christianity was hardly mentioned at all. Even if it is rarely discussed in the media, Korean Catholicism is among the most vibrant in the world. Here are five reasons South Korea might be the future of Catholic Church. (CNN) - Is Andrew Garfield, star of films such as “The Social Network” and “The Amazing Spiderman,” considering the priesthood? Last month, paparazzi snapped a picture of Garfield walking as he carried “The Jesuit Guide to (Almost) Everything,” the Rev. James Martin’s insightful overview of Jesuit life and spirituality. According to reports, he’s consulting the book as he prepares to play a Jesuit in a film adaptation of “Silence,” a novel about Catholic missionaries in Japan. Garfield’s reading material – and the movie he’s studying for – captures the continuing cultural impact of the 474-year-old Catholic religious order officially known as the Society of Jesus. Sometimes called "God's Marines" (not all appreciate the nickname) for their willingness to go to the frontlines of faith, Jesuits form the largest order of Catholic priests in the church, with approximately 18,000 members worldwide. 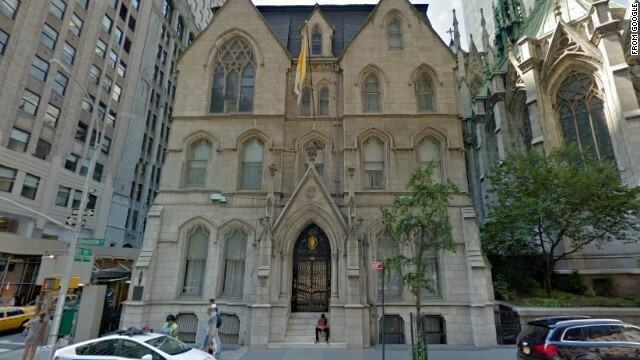 And, at a time when most religious orders are shrinking and pining for new candidates, the Jesuits say inquiries about joining their ranks are surging. What explains the Jesuits’ enduring appeal? Much of it has to do with their academic legacy. In the United States alone, there are 60 Jesuit high schools and 28 Jesuit colleges and universities. They are part of a network of secondary and post-secondary institutions that stretch from Los Angeles to Lagos to Tokyo. A good number of those schools are named after the founder of the Society of Jesus, St. Ignatius of Loyola. Born in Spain in 1491, Ignatius – then Iñigo Lòpez de Loyola – was groomed for a conventional path in service of the Spanish crown. Meriam Ibrahim disembarks with her children at an airport outside Rome. She faced death in Sudan for her Christian faith. Now she's free. 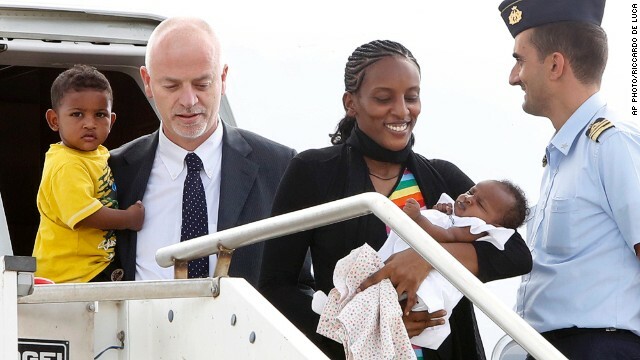 Rome (CNN) - Mariam Yehya Ibrahim, the Sudanese Christian woman sentenced to death in Sudan because of her faith, arrived in Rome on Thursday, the Italian Foreign Ministry said. Ibrahim "will remain in Italy for a short time and then will travel on to the United States," the ministry said. Sudanese authorities had said Ibrahim was guilty of rejecting Islam in favor of Christianity, but her conviction for "apostasy" and adultery was overturned last month on appeal, following weeks of international controversy. After her release, she and her husband, American Daniel Wani, were detained for two days, accused of falsifying travel documents after going to the airport in Sudan's capital, Khartoum. They were trying to fly to the United States with their baby daughter, who was born while Ibrahim was in prison, and toddler son. Now their dream of starting a new life in the United States appears to be on the verge of becoming reality. Not only that, but Ibrahim and her family met with Pope Francis at his private residence in Domus Santa Marta in Vatican City. During the meeting Thursday, which lasted about half an hour, Ibrahim thanked the Pope for his and the Roman Catholic Church's support and prayers, the Vatican said. He, in turn, thanked Ibrahim and her family for their "courageous witness and constancy of faith." Francis also played with the children, 18-month-old Martin and 2-month-old Maya, and greeted the Italian diplomats involved in her journey to Italy. With this gesture, the Vatican said, the Pope "desired to show his closeness, attention and prayer also to all those who suffer for their faith, in particular to Christians who are enduring persecution or limitations imposed upon their religious freedom." (CNN) - Using his strongest language to date, Pope Francis told Italian Mafia members Saturday that they are excommunicated from the Catholic Church. “Those who in their life have gone along the evil ways, as in the case of the Mafia, they are not with God, they are excommunicated," Francis said. It is the first time a Pope has spoken of excommunication for the Mafia. Excommunication, which excludes Catholics from the church, can be imposed by church authorities or incurred automatically for certain grave offenses. The Pope’s remarks will resonate strongly in this part of southern Italy, where the Mafia attempt to portray themselves as upstanding religious men in good rapport with the Catholic Church, in order to maintain local credibility.